Jim is an award winning, freelance, avian photographer specializing in birds in flight. He is a native of Minnesota, where he was instilled with a keen interest in wildlife and nature since childhood. It was not until he moved to the birding paradise of central Florida; however, that he became seriously interested in photography. Jim soon observed that birds are the most prevalent form of wildlife in Florida. He knew that in order to become good at photographing them; however, he needed to learn more about these winged subjects. 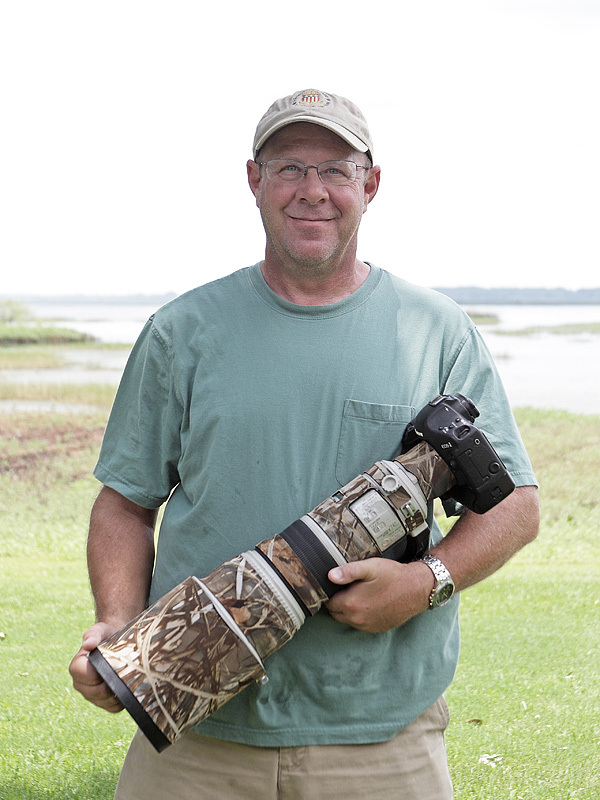 Jim has spent the last four years extensively studying, observing and photographing birds in Florida. This has led to a love and fascination with birds and avian photography. In his opinion, birds are one of the most interesting and challenging forms of wildlife to photograph. Through his experimentation with avian photography, Jim has developed his own method of handheld photography using long telephoto lenses, which he applies to making images of birds in flight. He believes that using long lenses, handheld, is the most powerful technique for photographing birds in flight or action of any kind. His handheld method has gained recent popularity leading to the creation of his company, Flight School Photography. Jim’s Flight School offers group workshops where handheld photography instruction for birds in flight is provided. Jim also offers private photography workshops that are tailored specifically to the requirements and desires of the participants. The workshops are offered year round, by boat or by land, in some of the best birding spots of central Florida. Flight School also offers fall workshops at Bosque Del Apache National Wildlife Refuge, New Mexico. Jim’s work has appeared in many publications from well known publishers such as The National Wildlife Federation, National Geographic, The American Birding Association, Naturescapes Online Magazine, Princeton University Press, and The National Park Service. In 2007, Jim's images were featured in the book "On Feathered Wings" published by Abrams Books. Several of Jim's Images from the book are also featured in the "On Feathered Wings" exhibit in the American Museum of Natural History in New York, NY. Jim also used his knowledge of the birds in Florida to create the “Central Florida Site Guide”, a publication that contains detailed descriptions of the hand-held technique he uses to photograph birds in flight and provides a complete guide to some of central Florida’s best bird photography opportunities. The site guide is only available at Birds as Art.